Your body is your most precious possession. It is what holds you together, your thoughts, your heart, your soul. It is what gives you the ability to be you. 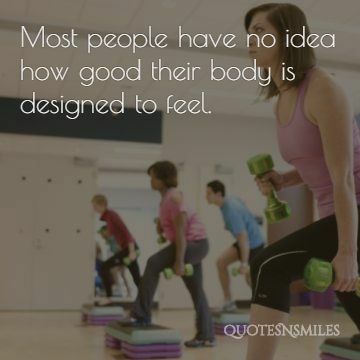 So treasure that and fight to keep your body in the best of health because when your body feels good, you feel good. I have been reading a lot recently about high protein diets. This type of diet seems to be the key for anyone looking to lose weight and build muscle. I found many sources explaining the benefits of the diet and how much protein we should have per day. Women age 19 – 70 + should be consuming 46 grams of protein a day. Other sources explained that those looking to lose weight and gain muscle should eat even more, between 0.5 grams to 1 gram per pound of weight. That is a lot of protein. At least it seemed that way to me. I was compelled by such numbers and also very interested in trying a diet that would help me drop pounds while also building much desired muscle. I, however, found one major obstacle in my way of obtaining such protein numbers. I am a vegetarian. I am not saying that there are not many ways for vegetarians to get protein within their daily diet. But, while vying for higher protein numbers I would have to be eating a lot of almonds to make it to the desired goal of 70 – 140 grams of protein a day. I wrote down a mock up of what my daily diet would be if I was aiming for 70 + grams of fiber a day. It included things like eggs, which contains 6 grams of protein per egg, greek yogurt with 17 grams per serving, and almonds with 6 grams per ounce. I’ll be honest, I wasn’t excited to eat what was on that list, every, single, day. I like variety in my diet or else I get bored and break it. So I thought that perhaps the best way to ease into a higher protein diet was to remind myself everyday to eat a little more protein. So next time I want a snack I’ll reach for a handful of almonds or a greek yogurt. Little changes like that will help me transition into a higher protein diet. I hope that by adding more protein to my diet I will have the ability to gain muscle while losing weight. This helpful reminder to eat more protein is especially good for me because my protein intake has been very low, simply because I don’t pay attention to it. These little reminders along with the variety of benefits will hopefully have me swimming in protein before long! Find it. Find that thing that makes your heart beat faster. Find that thing that makes your breath catch in my throat. Find that thing that makes life worth living. For me it is fitness. But whatever it is, find it and hold on to it, because life without passion isn’t a life at all. So find it, find your passion. I have never loved anything as much as I love fitness. I’ve never had anything else that has had such a profound impact on my life. Nothing that I have ever been so passionate about. I have never loved life more than when I started working out. I have never loved myself more than when I started working out. I have never loved being alive more than now and I can thank fitness for that. I never knew what I loved before finding health and fitness. I didn’t know who I was or what I wanted. I drifted. I was drifting and wandering aimlessly, hoping to find something that would help me find myself. But, when I found fitness it wasn’t that I found myself but rather that I created myself. Once I began working out I created myself with strength and determination and dedication and love. I created myself with so much love. If I was gonna build the person that I wanted to be then I was going to love them. I was going to love every muscle in my body. Every straining and bulging muscle in my body. I was going to love every pearl of sweat sliding down my red face. I was going to love every inch of fat because it was part of me and it was part of the body that I was building. Once I found that love, that passion that I just couldn’t live without, I was attached. I was stuck on fitness like a childhood love. Honestly I am so in love with health that I can’t see straight. Some days I catch myself feeling my quad muscles or grasping my booty to feel for firmness and strength. I love going to the doctors because they always compliment me on my low resting heart rate and blood pressure which are signs of being in great shape. I am lost in the world of fitness and thus in the world of passion. I am so in love with my life because fitness is part of it. I am so passionate about my fitness goals and who fitness has helped me become. I am in love. Finding fitness was the best thing that ever happened to me because it created a passion and love within me that I had lived without for so long. This article on Shape Magazine online really opened my mind to how hard aging women have to work to stay in good shape. Mary J Blige has a rigid diet and strict workout schedule that allows for her to stay in great shape. She admits to having a hard time staying in shape especially as she gets older. This article was very inspiring to me. It portrayed me that once you fall in love with fitness it isn’t easy to stop. That is how I feel every time I work out. I am addicted. Today I went Black Friday shopping and the first thing I bought were running shorts. I just can’t get enough. It feels too good to be in shape. I love it too much. I hope that when I am Mary J Blige’s age that I am still as in love with fitness as she is. Fitness and health is the most inspiring and passionate part of my life and I can’t imagine my life without it. I found this great water bottle online that I’m dying to get! This HydraCoach Intelligent Water Bottle keeps track of how much you are drinking and how much you need to drink to meet your hydrations needs. This is great for me because I always forget to drink enough water, and drinking water is crucial to weight loss and health. Today I got my first tattoo. Two simple words on my ribs. Live deliberately. Some of you might recognize this as a quote from Henry David Thoreau. Thoreau was a brilliant transcendentalist who encouraged people to cast aside conformity and live simply. I love Thoreau and many of the things he stands for and believes in. But this tattoo is for me, not for him, or you, or anyone else in my life. To me, live deliberately means to live my life with purpose. For me it suggests a don’t stop, get it, get it mentality in which I go after the things that I am passionate about because they make me feel alive. For me it means to live my life with a strong desire to live. For me it means that my life should have meaning, it shouldn’t be wasted. So every time I complete a workout or run a mile I keep in mind that it has purpose in my life. It is something that I am passionate about, something that I love. It brings meaning and joy to my life. Everyday is an opportunity to live, and to do so with passion and purpose. So live deliberately. Live deliberately in every aspect of your life. Don’t ever stop, because you are meant to live, and you are meant to have a purpose and that’s something you should never forget.